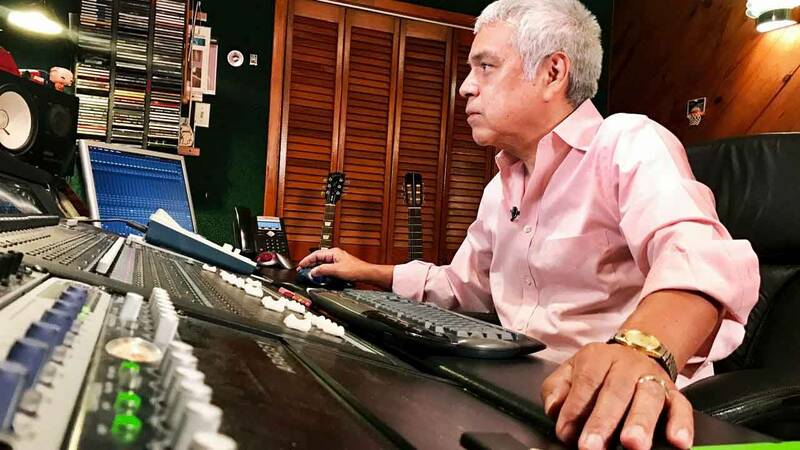 Having won seven Grammys, Gilbert Velasquez has made a dent in the Tejano music industry working with a who's who of local and international musicians. Familiar names in the Tejano music industry like David Lee Garza, Selena, Grupo Límite, La Tropa F and Shelly Lares grace his impressive résumé. With over 40 years of experience in the music industry, Velasquez opens up his studio to local artists and musicians looking to find a creative space to create music. But before he became the go-to man of the industry he was creating a pathway for himself -- starting at church. Music was a passion he gravitated towards, and when the opportunity to play with a church group presented itself, he said yes. “I went to a catholic school … I started playing in church and there’s where I got my start," said Velasquez.